Below you will find 3 videos that will show you how to dance at a party for guys. These party dance moves are super easy for anyone to get and start using right away. If you're looking for more moves check out club dance moves for guys here. This dance move is similar to the james brown shuffle but looks more modern! Be sure to watch the entire video to get styling tips towards the end. 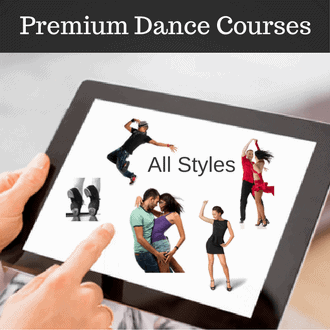 This Beginner to Intermediate level course is perfect for men who want to learn how to dance at a party with fun fancy footwork dance moves and party grooves. Delivered through instant downloads and online streaming. The Steve Martin dance move is an Old school move that combines footwork together with bouncing. In this version you will learn how to do this move in place - which is perfect for crowded parties . The Loose legs dance move is a footwork groove that you can do at any party with style! The key to this move is to keep the body fairly still, while letting the legs and feet "do the work". Now you know how to dance at a party! 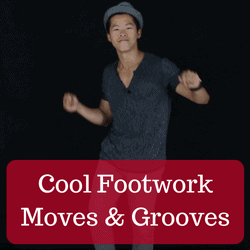 Check out Brian's full video course to learn more fun party moves and footwork grooves. - Keep a good posture whenever you're dancing... That means no looking down. - Do not overdo the drinking. While having a few drinks will loosen you up, you don't want to drink so much that it affects your balance! - Keep the movements small and compact. Especially if it's a crowded place, you want to do small movements.